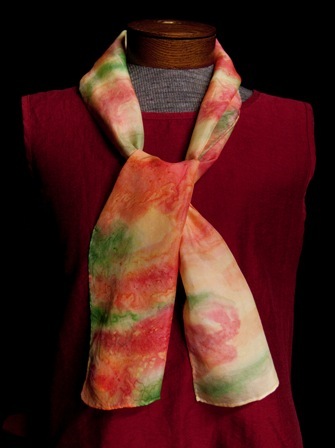 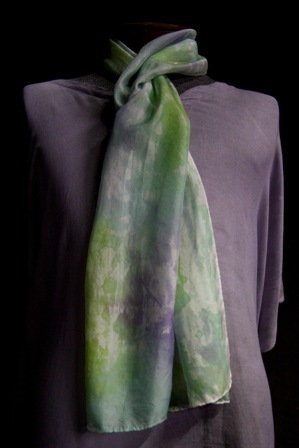 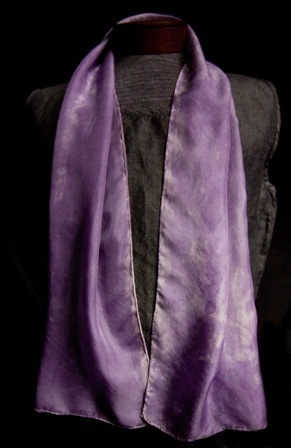 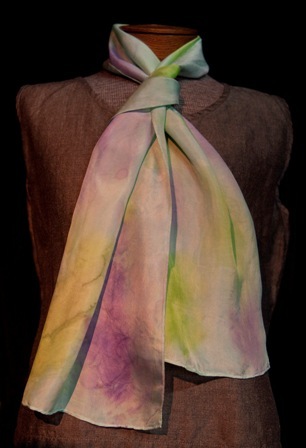 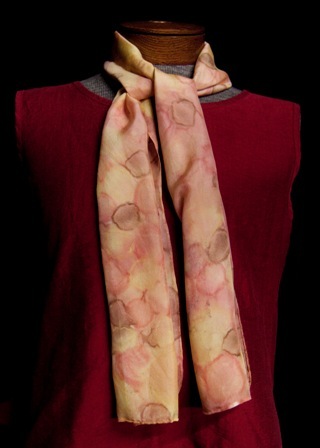 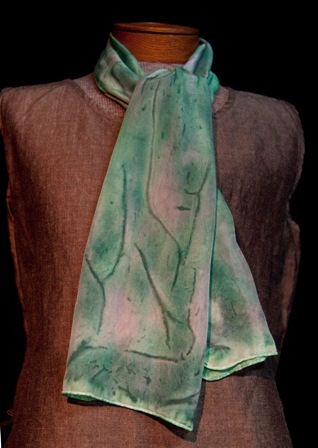 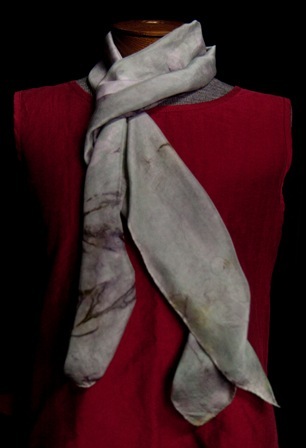 All scarves in this page are 100% Habotai silk 11"x60" and handpainted by Sivana Studio. 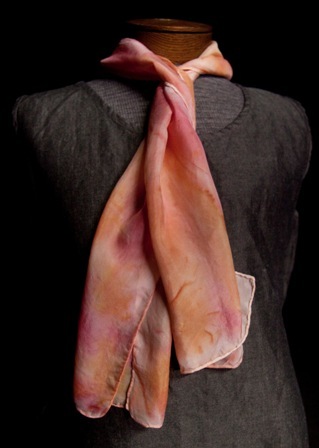 NEVER BLEACH or use bleaching agents. 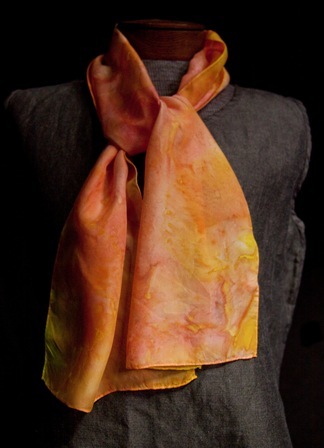 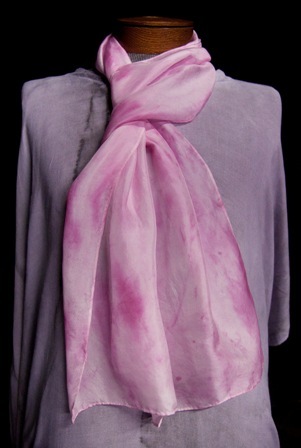 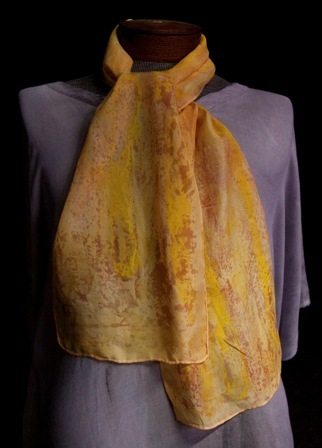 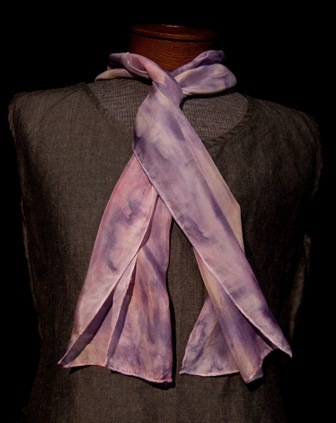 Iron your damp silk scarf using the gentle heat setting.